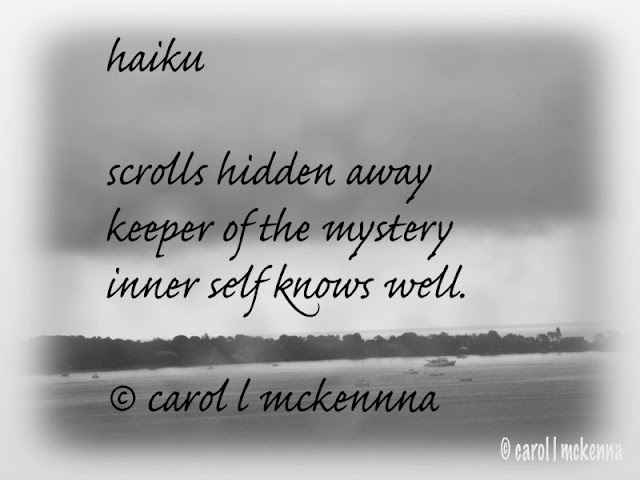 Carpe Diem Haiku link ~ prompt ~ 'keeper of the mystery'. 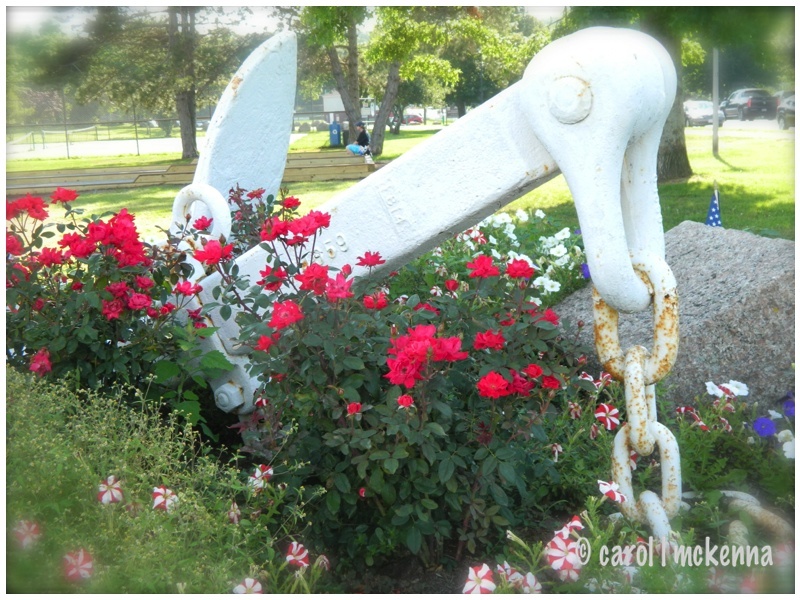 Naval Memorial on Cape Ann MA Boulevard for Ruby Tues Too link. Welcome to our Monday and Tuesday post with lots to be grateful for today. Had another birthday and aging is not always a 'piece of cake' but feel blessed that I received cards and gifts and even facebook birthday wishes. How can I not be grateful. I am blessed. It was a wonderful birthday despite missing a few loved ones but know they are 'watching over' me. We are linked with these creative bloggers. Hope you enjoy them as well. Your posted comments always delight us in every way. Carol, happy belated birthday! I hope you had a great day! Your orchids are beautiful, I love the color. Pretty shots from around your Cape Ann. Have a happy week ahead! Lucky mom! Thanks for sharing your birthday bouquet and all the other beauties (and whimsy) of your world. Looks like life is good at the creative harbor! First of all, here's a Belated Happy Birthday to you. A year older and wiser and closer to knowing what it's all about - or at least that's what I tell myself. What a beautiful gift from your son. I too received flowers from my daughters and they meant the world to me. Happy Birthday!!! Hope it was fabulous. Beautiful flower mosaic. Belated Happy Birthday! Glad you were celebrated well. Wonderful set of images. Beautiful orchids. 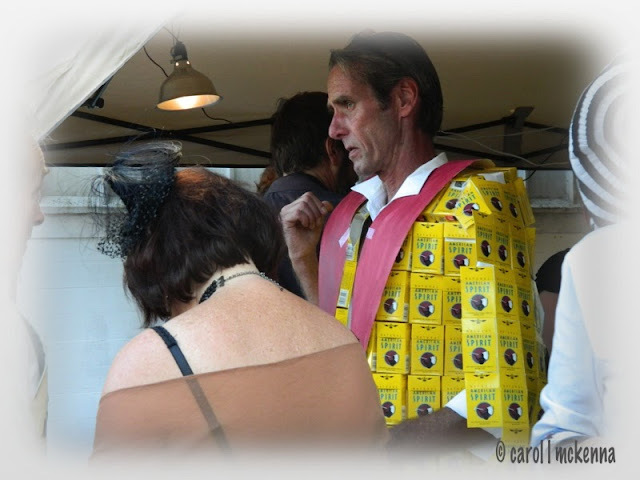 The yellow 'jacket' is an extraordinary creation. The guy looks as if he may have to be careful how he moves. That's quite the jacket, although it doesn't look exactly comfortable! Beautiful photos, and I love your orchid mosaic! Happy belated birthday. Your flowers are so pretty. Enjoy your week. I sure like your blue. Have a good Blue Monday, Carol. I'm glad you had a good birthday. Love all the photos, and the jacket.....interesting. A terrific series of shots Carol! That smoking jacket is funny, the orchids are beautiful! looks like a fun place to enjoy the weekend, I would wear that jacket! come link up with us today for Travel Photo Mondays, its open all week! Love the deep pink orchids, and the harbor is so picturesque! Carol -- what lovely images and Haiku for us this week. Thank you for sharing! Happy Birthday Carol! The orchids are lovely and such a sweet gift! 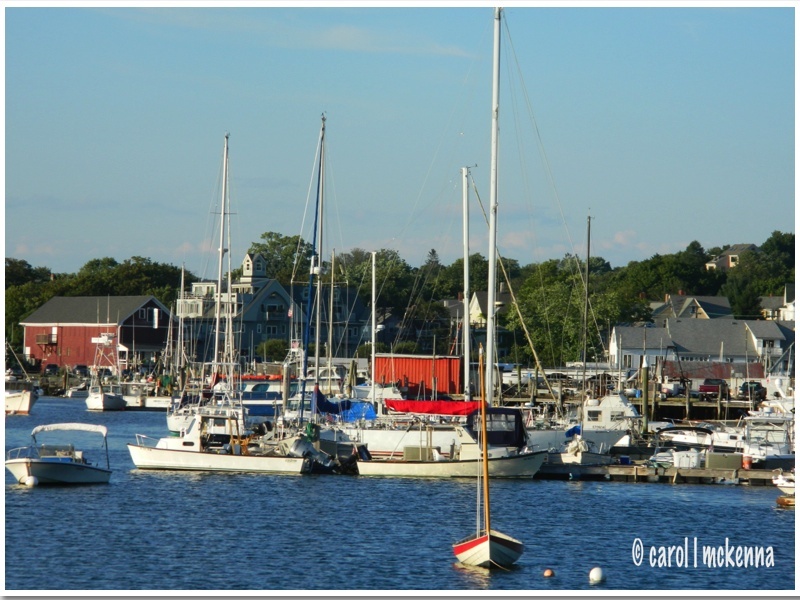 Love the photo of the boats...what a beautiful scene! Enjoy your week my friend! Awesome post Carol. I understand that you have had your birthday, well happy birthday then (a bit late), I love the haiku you share here with us, the scrolls, in which the secrets are written, are hidden by It's Keeper. Thank you for sharing. 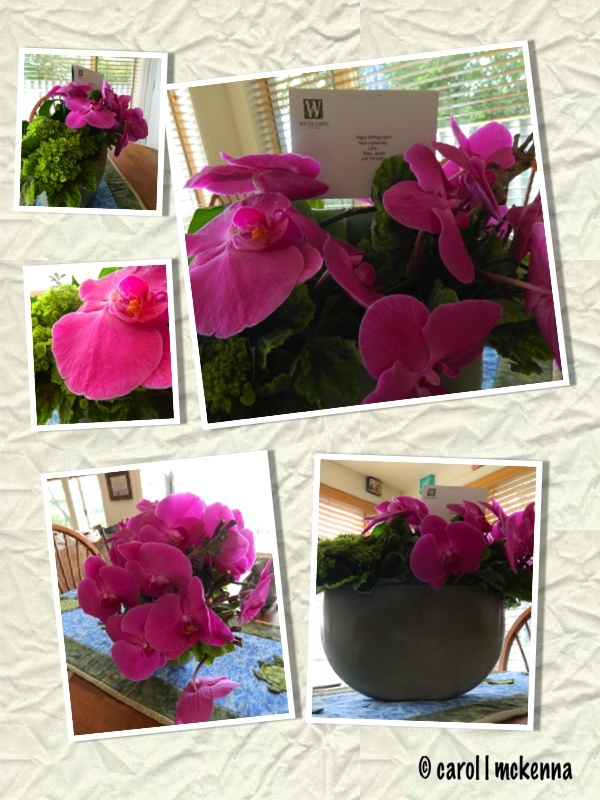 Happy Birthday to You!Beautiful orchids from your son!Wonderful Pics & verses & that quote is so true! As long as the inner self knows, then all will be well! I like the quote from Anais Nin it goes well with "change the way you see things, and the things you see will change," by Wayne Dyer...have a great week! Ah. Great post. Happy birthday. I'm still dealing with bug bites. Taking allergy meds now. It is helping. sigh. Happy Birthday, Carol! Such pretty pink orchids for the occasion. Smith Cove is post card perfect and I can imagine the fun at the ball! You are a lucky birthday girl! The naval memorial photo is just perfect for Ruby Tuesday Too! Such a wonderful haiku on life's mysteries! Happy belated birthday, Carol! The orchids are beautiful --I love their color.